TIMECOP1983 is a Dutch electronic music producer. His music is heavily inspired by music from the ‘80s and is best described as romantic, cinematic and dreamy. There are many names for the genre but he always likes to label it as Synthwave or Dreamwave. Timecop1983 has a fanbase reaching all over the world. His album journeys has over a million views on youtube. His music has been featured in various Netflix films, videogames and commercials. He also started a new side- project called Division. 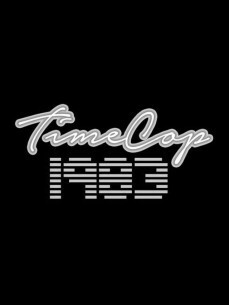 In 2016 Timecop1983 also started to perform live. One of the highlights of that year was performing live at Amsterdam Dance Event, sharing the stage with one of the biggest artists in the scene like Sunglasses Kid, College and Maethelvin. Early 2017, Timecop1983 has already performed all over Europe like London, Antwerp, Budapest, Berlin, Moscow and Amsterdam to name a few. With more international gigs coming up later this year.